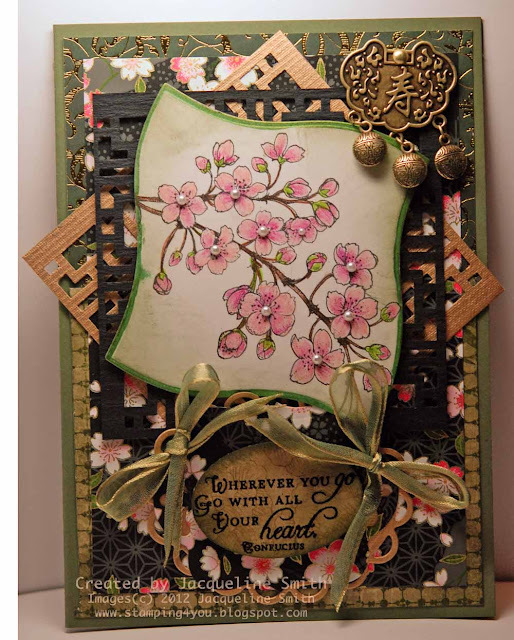 Today we have a gorgeous Asian themed card from our talented design team member Jacqueline Smith! Let me hear about your paper stash! This is so beautiful and I love the design and the layers and balance. I will confess, I am also a paper horder but working on getting better.....lol.